Last week, I was finally able to use my Globe Rewards Points to buy an item at one of Globe's Partner Store - Bench. 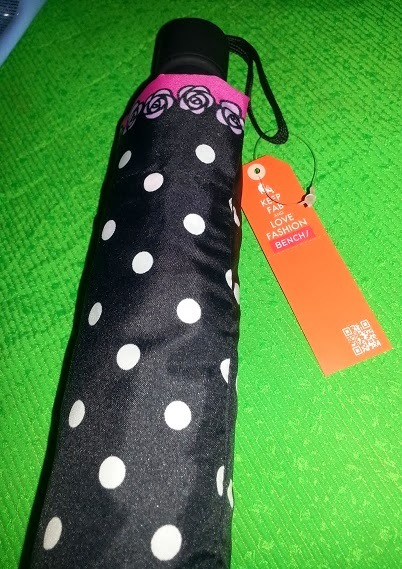 With an accumulated points of P321.12, I only added P9 so I can a buy a new umbrella from Bench. Cool right? The points were really as good as cash. :) One point is equal to one peso. 1. 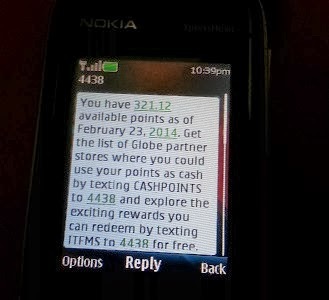 Text BAL to 4438 to know your Globe Rewards points. Make sure you have a load to do this because there is a transaction charge of P1. 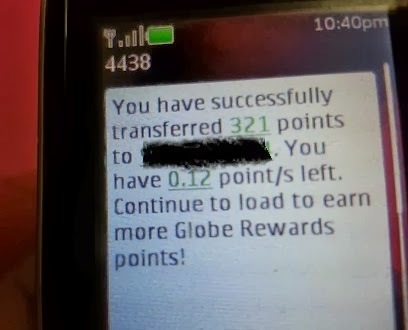 You can then use these points to pay at any Globe's Partner Store. See details below for the list of participating stores and their minimum points for redemption. So what are you waiting for? Grab this promo while it is still on!